Takashimaya Little Ones Club 10% off all merchandises except offer and clearance items Please email a photo of your Little Ones Club Membership card no. for your discount code. 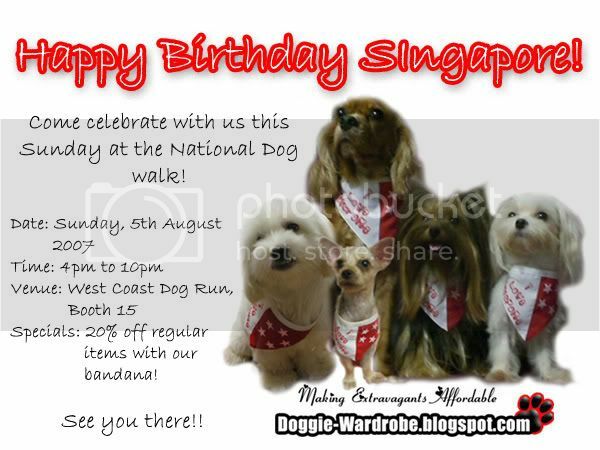 Dog Clothes in Singapore by Doggie Wardrobe - Rapturous LLP (T11LL1901J). Powered by Blogger.